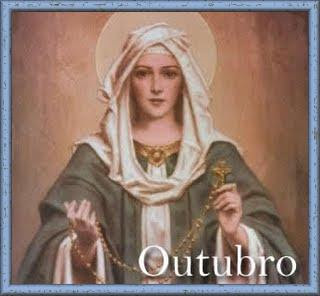 "My beloved children, I am the Mother of God, I am the Theotokos, yours Mother. Earlier this new year that begins, I come to tell you I AM THE MOTHER OF THE NEW TIME, the new time of Grace that God grants ye, with the dawning of this new year. I am the Mother of the new time of Grace, and therefore, call you to a deep conversion, to a profound change in life, and truly reshape all your life according to the will of God, His Law of Love, with My Messages, for that your life be always a signal of God's love and My love in the world among men, and ye that being light in the midst of so much darkness that now descended upon humanity. I am the Mother of the new time of grace and that's why I call you all to an urgent return to God. 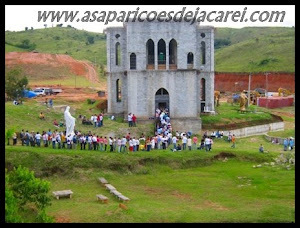 I come to call the world to conversion for the last time, after that My Apparitions here in Jacarei have finished, I'll never return to this world anymore. 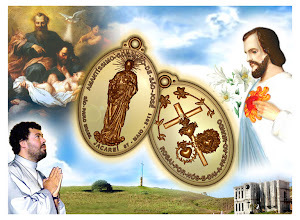 Thus, My children, this is the last chance that God and I, gives to all mankind and to every one of you, do not throw away your salvation, do not playing with something as serious as this time of grace that God gave ye, while last My Apparitions here. While I'm here giving My Messages to the whole world and also to ye, can also help ye to convert, to save ye, I can approximate ye of God, I can ever more, take ye until God. 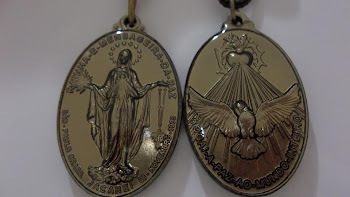 Time will come that My Apparitions will cease, and then those who scream for Me calling Me, to these I can no more help, for them I can not do anything else, because the time of mercy and clemency will be passed already. Does know therefore, recognize the time of My visit and make as St. Elizabeth, Zacharias and the little John the Baptist did, does know exult of joyful in God for My presence here, does know listen to the word that I say ye, does know to recognize Jesus, does know to recognize the Lord that I bring with Me in My Apparitions, to give you, to reign in ye and in yours life. Receive him! Accept it! Love him! Follow him! Hear My maternal voice, that order ye all, throw open the doors of your hearts to Christ. So, truly you'll valorize the grace of My presence, and of My Apparition here, and truly ye shall give Me, what I came here looking for, from the Heaven 20 years ago and I never tire of asking you: LOVE! True love, supernatural love, profound love on pure transformation, by God and Me, by the salvation of souls, and by yourselves. Save your souls praying, doing penance, divulgating My Messages, thus helping Me to save the souls of the others, ye will predestine your own souls, to Heaven and Salvation. 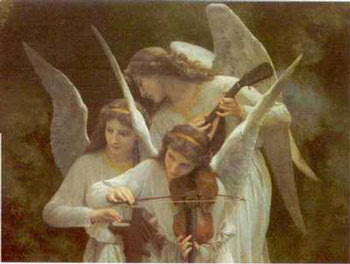 My children, I am the Mother of the new time of grace which the Lord hath given ye in this new year, so that, I want to follow with you in your conversion, I want to continue the process of your sanctification, leading ye ever higher, ever closer to the Lord, always, for that ye to become more holy and more similar to my son Jesus and Me. For so, I ask you a greater docility, greater confidence, a greater surrender in My Hands, a higher waiver of yourselves, and the world, so that you be docile instruments in my hands, for that I acomplish in you, My Salvation Plan for whole humanity. 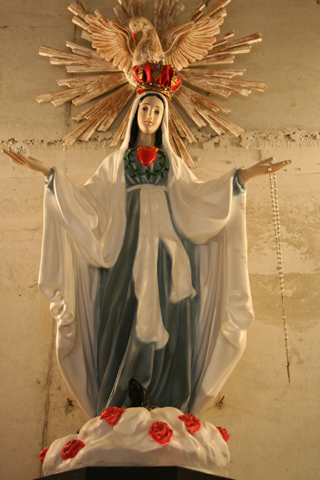 I am the Mother of the new time of Grace which the Lord has granted ye, and that's why this year I will pour upon you like never, the Effective Graces of My Immaculate Heart. And if you cooperate with My Grace, if ye help My Grace, I'll truly make in ye, extraordinary things. In these times of great apostasy, of the great tribulation, on what the darkness of sin, of evil, lack of faith, loss of faith, of apostasy ended up of to overlay the entire world, and even the Church, that althought it is the only one true, the unique way of salvation, the Catholic Church, this My daughter it's disfigured, the church is covered with sores, because many of its ministers and its faithful have no longer pray, do not have the true faith, assimilated the mistakes of the world that are now taught and propagated as truth, as a good. In these times where everything collapses, and finish, and I come to call you to be my faithful children that ye may be my good toiler, good workers, that with Me rebuild My Holy Church, defending the holy Catholic faith, save the souls of My children, and lead them all to safe refuge of My Immaculate Heart, before it gets dark, ends up to falls the night of the great tribulation. So I send my children, not to the amenities of the world, but to the fight, to work, to tussle for the salvation of souls that I love so much and costed all the blood of My Son Jesus. 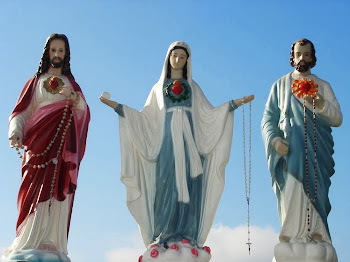 For that thus, helping Me to save these souls as precious in the world, I can hasten the time of the glorious and miraculous triumph of my Immaculate Heart. Confidence My children, in this new time of Grace, in this new year that God gives ye, because your Mother has already everything planned and drawn, has already Her victorious plan, successful, fully drawn by Her and by the Holy Trinity, in smallest details. Do not lose hope, do not lose courage and confidence, follow in peace because your Mother in Heaven, knows how many hairs you have even, know how many times your heart beats, and won't allow the enemy to prevail upon you. 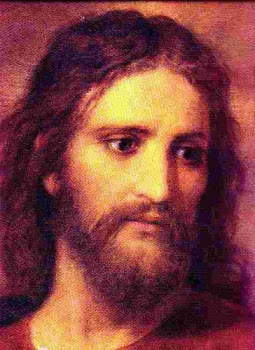 So that, My children, move ahead, because I am with you along with My Son Jesus and Joseph, as My Son Jesus, have promised ye, until the end of the world. And by the end, my Immaculate Heart will triumph, because on My Immaculate Conception, in My YES I've overcome the world, I have overcome, satan. Stay in the Lord's Peace...The Peace Marcos! The most darting of My children..."
"My beloved children, My Loving Heart bless you today, in this new year is born, and gives ye Peace. Be not afraid! My Loving Heart is with you, It is your shield, It is yours refuge, and refuging on It, you will be protected and defended from all evil. Will keep ye, will protect ye, and defend ye, forever! And today, I come to call ye to grow more in love, trust and docility to Me, so that, My Flame of Love descend, and powerfully triumph in ye. MY FLAME OF LOVE SHOULD DESCEND and triumph in ye, in this new year that is born, and that's why you shall to come back now with all your love, to My Paternal Heart, because My Heart wants to bestow upon ye His Flames of Love, to blazing ye, ever more of love for the Lord, and making you grow in virtue and holiness. For so, I want your total unreserved yes to My call of love today, so I can kindle My Flame today in ye, so that, I can turn ye, into bright torches, that brighten this world shrouded in darkness of evil, of sin, of apostasy and hatred. My Flame of Love should come upon your hearts and triumph in ye, and so I want that intensify your prayers, ever more asking for outpouring of My Flame of Love that will prepare the Second Pentecost, that is each time, closer to ye. 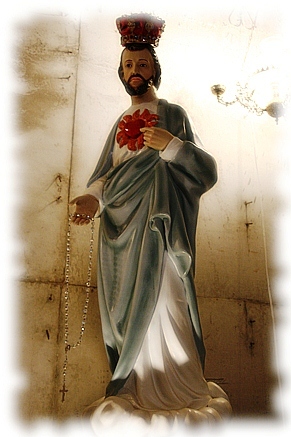 WHEN THE FLAME OF LOVE OF MY LOVING HEART BE KNOWN, AND PROPAGATED, THEN THE SECOND PENTECOST, THE SECOND DESCENT OF THE HOLY GHOST, WILL POWERFULLY OCCUR IN THE WORLD, MAKING THAT ALL SOULS RESSURECT TO THE GRACE OF GOD, THAT THE DESERTS BECOME INTO FLOWERY AND BEATIFUL GARDENS, AND SO THE WHOLE WORLD MAY KNOW, A NEW ERA, A NEW TIME OF PEACE, LOVE AND HOLINESS! My Flame of Love shall to descend and triumph on ye, and that is why, I ask ye to imitate, the love that the Saints had for Me, especially my daughter Teresa of Avila, Andre Bessette, and many others that loved Me, with so much strength and intensity. So that through you I can also acomplish admirable things, can convert many sinners, and make to shine, ever more, the Glory that the Holy Trinity has given Me, for that so, the sinners are not afraid to approach the Lord through Me, because I am a loving Father, merciful and sweet, in Me there is nothing terrible, nor severe, I love the sinners and desire to lift them out, of the mire of sin in which they are fallen, for so, I extend My hands a thousand times per day, if need, to the sinner who call Me, that call Me with confidence and surrender completely to Me, asking Me to help him to convert himself, and to return to the Lord. My Heart will never reject, never say no, to one who asks Me: My beloved father Joseph, save me! 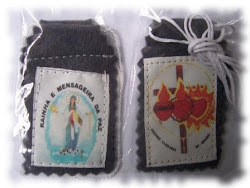 To the sinner who invoke Me, even if his sins are darker than the night, if he invoke Me with confidence and love, I will not reject him, will not leave him, but will take him in My arms, as I did with the Child God, and there then, I will to carry him again to the House of the Father, reconcile him with the Lord, and with the Blessed Virgin, will cleanse, will heal his wounds opened for his sins, and I will give him, a new beauty, a new life in God. My Loving Heart, will pour out copiously His Flame of Love upon ye, as much as, you open to Me yours heart, and give Me access to your heart. So that, dilate it, open it widely for Me, and in this year, I will pour so much over ye My Flame of Love, that you shall fuse with God, as the metals are fused in the fire. I wish to lead ye, to an extreme holiness, so, I want your yes. I open to ye the door of My Loving Heart that is, and will always be, your refuge. Enter on It, and I will keep ye, nourish, teach, and will carry ye, ever more, to the Heart of Jesus. The Peace, My beloved children, stay on the Lord's Peace, I cover ye with My Mantle..."